Browse paper-machinery suppliers by country and region. Short on time? 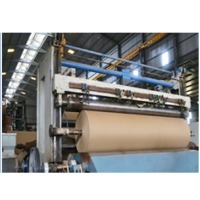 Let paper-machinery sellers contact you. This all production line are consists of full automatic rewinding machine, accumulator, automatic band saw .Automaticloading material to finished cutting output , whole line cooperate smoothly , stableperformance, all automatic by machine , more save manpower, and reduce the labor intensity and improve production efficiency .It's a best choice for production toilet paper products. Product feature This all production line are consists of full automatic rewinding machine, accumulator, automatic band saw .Automaticloading material to finished cutting output , whole line cooperate smoothly , stableperformance, all automatic by machine , more save manpower, and reduce the labor intensity and improve production efficiency .It's a best choice for production toilet paper products.